Definition at line 43 of file CompositePoolNode.h. Definition at line 47 of file CompositePoolNode.h. Definition at line 49 of file CompositePoolNode.h. 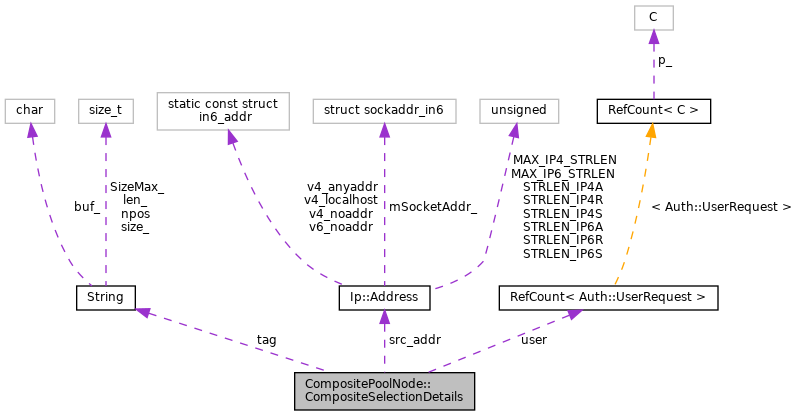 Referenced by DelayId::DelayClient(), VectorPool::id(), and ClassCHostPool::id(). Definition at line 53 of file CompositePoolNode.h. Referenced by DelayId::DelayClient(), and DelayTagged::id(). Definition at line 51 of file CompositePoolNode.h. Referenced by DelayId::DelayClient(), and DelayUser::id().